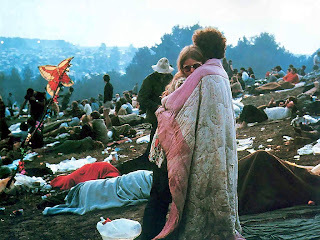 WOODSTOCK, that quintessentially American event, perhaps the most organic example of true 20th Century Americana in action, is playing on Radio Free Nachlaot. All 16 hours of it, beginning at 8pm Jerusalem time tonight (Monday). It's just our little gift to you, America the Beautiful, "The Old Country," from whence we came before we moved to the Holy Land. I ask myself this as i see the time is 1:49 am -- could it be Sunday already? Well, if it is that means that tonight, on Sunday Night Live we will have as our guest, Yehuda Katz. 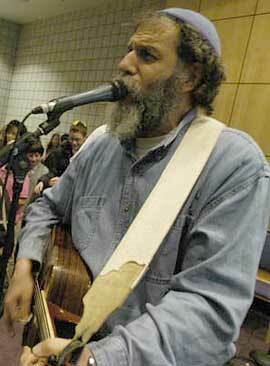 Yes the return to live music will kick off Sunday Night Live Season 2 -- with Yehuda Katz. Did I mention that? Yup. Yehuda Katz. Contribute to the fund for Lorelai's new laptop. So, I ask you - is it the end of this week, or already the beginning of the next? I start "cookin' for Shabbos" (Steve here) on Thursday night, head "down the road to Shabbos" including the Not For Kids Only Childrens' Hour (2 -3:30PM) and continue on through to Sunday Night Live which of course included our Motzoei Shabbos - Melave Malke where Shlomo meets Saturday Night and just before that a break for Shabbos allowing a little time for prayer, study, food and sleep. Next up, Monday - a non studio day for me but a busy day for Lorelai at the radio-wheel, rising to amazing musical heights during the Not for Drag Queens only show, and then it's Tuesday. We start out with Maya in the Mid-Morning, go on to harvest the Homegrown at 7 PM which leads us to Rockin' and-a-Rollin' until much too late to mention. Wednesday night Maya leads us into her world of music (which most of the times is "our world of music") and then it's "Video/Radio Thursday" with "Heart to Heart" (2 PM) and the Returning Light (4PM) - Lorelai with guests - intimate topical/Torah conversations complete with charts and maps and "astrological" interpretations spoken in a language only a "select" few can understand. At 7:30 we head off "Video-wise" to a Rebbe Nachman Chabura led by R' Ozer Bergman and for the radio listeners when we don't simulcast the chabura westart with our H'ors D'ouvres portion of the "cookin' for Shabbos" show, and then by 10:00 PM we're - guess what - back to "cookin' for Shabbos." It's a wheel. It's a cycle of life. Where are you / me on the wheel? I don't always know -- but at least I know I don't know - that's something, right? What I do know is that music guide us, accompany us, and carry us along. And that's what (Radio Free Nachlaot) is here for. 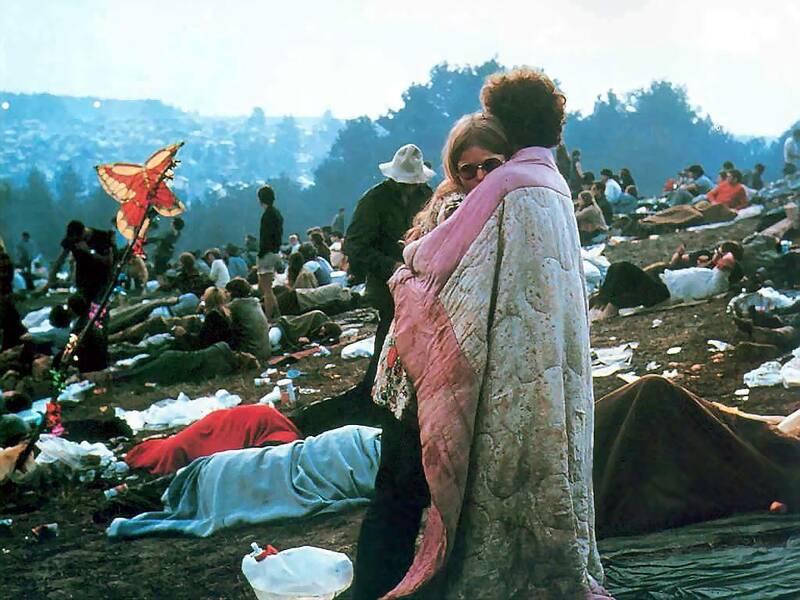 We're here to provide the good vibes soundtrack for your life. Hey, here's another "noble" notion - DO YOU WANT TO HELP? First and foremost - keep Listening. Keep telling your friends to listen. Hire us to broadcast your wedding or simcha or event (http://www.bethereisrael.com/). Advertise, or get your friends to advertise on the radio. Here's an idea - sponsor a show! You know, we're here for you -- now you can be here for us also. What an idea!!! I bless us all ( you all should bless me back) that as long as the wheel keep spinning round we should be able to hold on tight - and enjoy the ride! - which I guess brings me back to from where I started. And don't forget: Coming up - Sunday Night Live - this Sunday, May 29th, 8:00 PM - 11:00 PM featuring Yehuda Katz! Watch us on the Radio! We thank, and love you all! That's right. Radio Free Nachlaot will not get stuck in one form of music, or the other. Yesterday we celebrated Bob Dylan's birthday - all Dylan (well almost all Dylan) all day, and tonight we will spend a few hours with The Doors. Now, we all know that RFN is all about opening doors -- well, stay tuned for Maya's Wednesday night show and join her as she takes on a musical journey into the music of the doors. So, let's keep our eyes on the wheel and our hands upon the road while Maya lights our fires with the Doors. 9 -11 PM, where else, but on Radio Free Nachlaot. 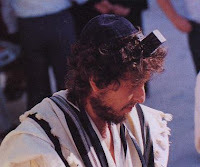 Bob Dylan's 70th Birthday on Radio Free Nachlaot has already begun! 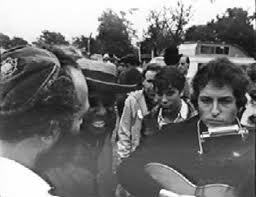 We've been playing Dylan music, Dylan covers, all things Dylan since "The Birthday" started here in Jerusalem at midnight. This afternoon at 3pm Jerusalem time we'll be joined live in our broadcast booth by Rabbi Chaim Richman, who happens to be (amongst other things) arguably (go ahead and argue with us if you like!) the Middle East's foremost Dylan expert. 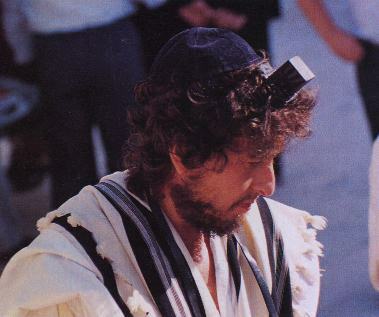 We'll be celebrating All Things Dylan today on Radio Free Nachlaot ... in the way that only we can! We've noticed that a lot of our musical friends have turned 70 lately ... Jorma, Phil Lesh, etc. and now Dylan. What's this 70 thing all about? We noted that the Hebrew word for "Watchtower" has the Gematria (Jewish Numerology) of 70. Bob Dylan wrote "All Along the Watchtower." Is there a connection? We know there are 70 Nations (Genesis 10). We know that Jacob came into Egypt with 70 souls (Genesis 46). We also know there were 70 Elders (Exodus 24:1; Numbers 11:16) advising Moses, who became the Sanhedrin. We know that the Jewish People were in exile "by the waters of Babylon," weeping and remembering Zion for 70 years before they were able to come back to Eretz Yisrael. We know that the Second Temple fell to the Romans in the year 70CE. Most mysteriously, we know from the Prophet Daniel that "70 Sevens have been decreed upon your people and upon your holy city to terminate transgression, to end sin, to wipe away iniquity, to bring everlasting righteousness, to confirm the visions and the prophets, and to anoitn the Holy of Holies." (Daniel 9:24). More than ever, 70 is a resonating number and bob Dylan's 70th Birthday as celebrated in Jerusalem will be commemorated in style. As everybody knows, Radio Free Nachlaot is famous for being "Where Shlomo Meets Jerry" .... today, it's "Where Shlomo Meets Bobby." Join us, won't you? It's Lag B'Omer - Gevaldt! Geshriegin'! Gevaldt! Let the bon fires begin!! 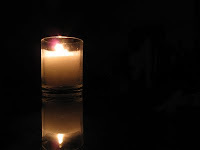 connecting through the physical light of the fire to the spiritual fire that lights our souls. And whether you're In Meron, at the grave of R' Shimon Bar Yochai, in Gan Sacher (Nachlaot), in NY, in California, in England, or Vienna, in Japan or Austrailia -we must know that the fires we light are not just individual circles of light, but connected circles that bring light into the whole world - I mean, after all, that's our job, right? To bring light into the world! A light unto the nations - or so it says....Yes friends, let's dedicate ourselves to each other, to the whole world. Let's fix the "lack of respect" that wiped out 24,000 students of Rabbi Akiba by gathering with each other, and showing that we truly are living V'ahavta L'reacha Chamocha - Loving your friends as you love yourself - by respecting and loving each other. Lag B'Omer - a night and a day of togetherness - a night and day of light. ...and of course, if you need a soundtrack ('cause everyone needs a soundtrack, right?) we will provide you with the sounds - the music and the torah to fill your day with joy. 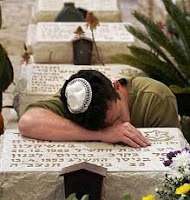 The mouring period of the Omer is over (for most). Happy Lag B'Omer to all! Starting around 8:00 PM ('ish) - as soon as the Grateful Dead Show that is scheduled to preceed SNL finishes - we will re-broadcast (audio only - sorry, no video tonight!) 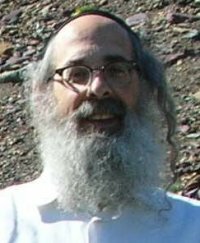 Steve's interview with Reb 'Leizer Garner and his wife the "Rockin' Rebbetzin" Michelle Garner, and then, 10:20 'ish, Steve and Lorelai's interview with Jah Levi. Great Interviews, Great Radio, a Great chance to listen again, or for the first time to some unforgettable moments captured and originally broadcast live from studio "b" - undisclosed studio "b" - deep in the heart of Nachlaot! Post Lag B'Omer relax chill time on schedule? 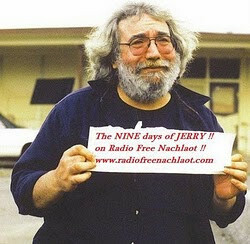 What better way than to let Radio Free Nachlaot to lead the way. P.S. - Check out our Upcoming Specials page for more info on our Bob Dylan birthday special and next week's Sunday Night Live show featuring: Yehuda Katz. Tzedaka Adventures with Arnie Draiman! Tzedaka Adventurer Arnie Draiman is Lorelai's special guest today on "Heart to Heart." You may have heard Arnie's brief audio interview with Lorelai last year in which he talked about what a "Mitzvah Hero" is. Find out what it takes to be a Mitzvah Hero - someone who facilitates the flow of goodness and giving in the best possible way, through the purest channels and into the places needed most. It's not as easy as it sounds, and it's not as hard as you think! 2pm today on Radio Free Nachlaot ... don't miss it! Arnie runs the Draiman ConsultingjGroup, primarily serveing individual donors and philanthropists, family foundations, Tzedakah funds - anyone interested in giving his or her money away wisely. They are directly responsible for doing the due diligence necessary and for maintaining constant contact with recipients. After due research and analysis, they will offer you a recommendation as to whether or not funding is appropriate. Draiman Consulting Group works with you to make the absolutely most efficient and effective use of your Tzedakah money. They remind each and every client: It is your right and your responsiblity to insure that your Tzedakah money is doing the best Tikkun Olam (making the world a better place) that it can. "How much better would the Jewish world be if we could apply the same obsessive-compulsiveness to tzedakah that we do to cleaning for Pesach?" -- BZ, "Mah Rabu" Blogspot. How much better, indeed? Let's find out together, 2pm Jerusalem time today! We're 1/3 of the Way to our Replacement Broadcasting Laptop! B"H = Baruch HaShem, we're 1/3 of the way to our fundraising goal to buy a replacement broadcasting laptop for Radio Free Nachlaot! Maybe you've heard ... the laptop Lorelai has been using for the last year (which was loaned to her after "The Great Yom Yerushalyim House Robbery of 2010") had to go back to it's original owners. 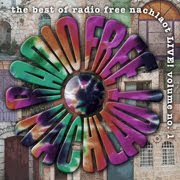 Radio Free Nachlaot without Lorelai's laptop is like ... a day with no sunshine! No remote broadcasts, no Ozer Bergman's shiur on Thursdays, no broadcasts from Reshimu or Club Canaan or any of the other locations we schlep to until we can get a new-enough, fast-enough PC laptop to run our SAM Broadcasting software. We've taken up a collection - we're looking for about 3000NIS (that's three thousand Shekels, which comes to about $849 in U.S. currency at today's rates). Thanks to generous kind donors we're 1/3 of the way to our goal! Can you help? Every little bit helps! One person sent $1, one person sent $40, one person sent $18 ... it adds up! There's a PayPal icon right here on the Radio Free Nachlaot web page (look to the left side of the page). It's that easy to send a little somethin'-somethin' to your favorite Internet Radio Station! Thanks to all our friends, fans, supporters and just plain good, kind people out there - the show MUST go on, and we need a broadcasting PC laptop to make that happen! We're 1/3 of the way home ... "Oh, oh what I want to know is, are you kind?" We need a miracle every day: and today we need a mitzvah, too! We're reaching out looking for a miracle or a mitzvah, or both. Our PC laptop (pictured above in it's natural setting within "Undisclosed Studio A") is leaving us this week, and we need a replacement. This current laptop was donated to us one year ago by some friends in Australia, who now need it back. It was donated in response to what we're now calling "The Great Jerusalem Day Robbery of 5770," which was the day (actually, evening) last May that Lorelai's apartment in Nachlaot was robbed and she lost, amongst other things, her personal laptop with which Radio Free Nachlaot actually STARTED and had been running the radio station (along with RFN co-founder Steve Levine's computer) 24/6 since we began broadcasting in late November, 2009. We're asking for you help. If you have a PC laptop (our broadcast software doesn't work with Mac, sorry) that you'd like to DONATE to Radio Free Nachlaot, that would be a mitzvah gadolah, and your donated laptop would have the pleasure of being the conduit for all the best music, talk & Torah coming out of Jerusalem! It would be the highest kavod (honor) a laptop could have - and it's also the "working laptop" that goes on location shoots & anywhere outside our studio broadcast system. Our specials such as the Nachlaot Tu'B'Shvat broadcast, our weekly Shiur with Ozer Bergman, the concert with Pey Dalid that we broadcast from Ulpan Etzion, etc. etc. can't be done without a laptop broadcast computer. 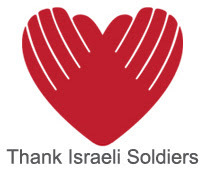 Thank you for considering our request - and thank you for listening to RADIO FREE NACHLAOT! That's right. Tonight Sunday Night Live will re-broadcast our show with R' Avrohom Sutton. Due to a last minute cancellation, our guest Emunah Witt HaLevy is not able to join us with cast us in to the sea of "what to do?" 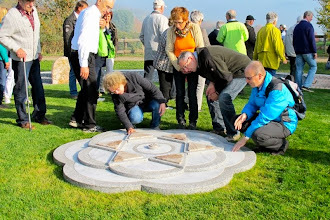 Luckily we have Chazal to guide us -- Chazarah they say, Chazarah - Review. You know, the day after the shows with R' Suttona and R' Ozer i said to Lorelai how intense those shows were, and how long the were, how un-expectedly "great": they were - I need to watch them again, there was so much stuff going on. Well, now's my chance, as it is yours. Sunday Night Live - Tonight - 8::00 PM will re-broadcast the R' Avrohom Sutton show originally aired on May 1st. If you missed it the first time, now's your chance. If you caught it the first time, remember chazal saying Chazarah! Review! C Ya on the Video/Radio!!!! Shavua Tov - It's a new week! How many more days 'til Shabbos? O.K. I know, the week has just begun - but it's yom rishon l'shabbos, isn't it? We can always think about Shabbos, can't we? Ok, so meanwhile, it's Sunday - and we have a full week ahead of us -- and I know it's a week of surprises, cause you know what? I don't even have the schedule of shows yet and it's already Sunday A.M. - i mean.I'm just saying - the parsha was about shemitah - letting the land rest - letting the energy be restored without any man-made activity messing up the process. Maybe that's why we need to let the week give forth what it will, without our "messing around" with the schedule. A week of surprises I say, and so it shall be. Surprise #1: Our special guest for tonight's Sunday Night Live show, Emunah Witt - HaLevy, has unfortunately canceled - she should have a refuah shelaimah and we haven't decided how to fill the slot. hmmm - Surprise #1 will become Surprise #2 -- check in at 8:00 PM tonight and see what it will be. Surprise # 3 -- will Maya be on the radio Tuesday A.M.? She's headed off to Eilat with a client (you believe that?) but doesn't know if she'll be able to make the show Tuesday A.M., or not. What will we do when our mid-morning musical munchies hit and there's no Maya to feed them? Surprise # 4 - Will there be an episode of Heart to Heart this week, and who will Lorelai's guest be? Now -- i think we'll stop here. becuase the surprises and the suspense has just got me too tensed up. I think i better chill out and listen to Sunday radio for a while -- I'm sure the playlist will even surprise me!!! C Ya on the Radio (and maybe even on TV?) one never knows, do one? It's Thursday, right? It feels more like "Days Between...." the earlier part of the week that veered from somber to ecstatic as Yom HaZicharon turned into Yom HaAtzmaout, and impending Shabbos. Doesn't really FEEL like Thursday - and we're in-between production of "Heart to Heart" and "The Returning Light" this week, so ... it's a long sweet Israeli Soul Afternoon on Radio Free Nachlaot - and we'll be live with Rav Ozer Bergman TONIGHT 7:30pm as we learn Rebbe Nachman together - "Watch us on the Radio" - and Steve's "Cookin' for Shabbos" at 8:30pm - Jerusalem time, Jerusalem style, Jerusalicious! Yes, it's Mid-week, mitvuch - the balancing point between last Shabbos and the Shabbos whose arrival is but a few days off. Balance -- and how do we achieve balance? 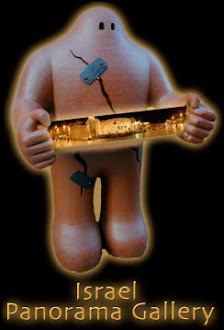 It's a process we must all define for ourselves -however, Radio Free Nachlaot is totally aware of the need for balance. We balance our programming between Music, Talk and Torah, and then we balance the music -- Rock, Jazz, Funk, Folk, Reggae and Blues -- We know there's a time for everything, and that it's our job to keep it all flowing. Yes sir, a well - balanced diet precisely tuned to allow us to make that connection between Heaven and You! Today we celebrate a Yahrzeit and a Birthday. I mean, you can't get more balanced than that! Starting after 7 PM we will celebrate the Yahrzeit of Bob Marley who died 30 years ago, today, May 11th 1981. 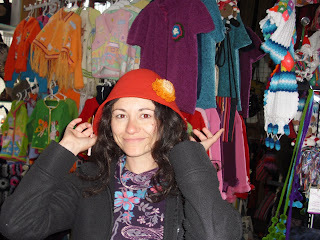 And then at 9:00 PM we'll put our "birthday hats" on and let Maya lead us through a Radio Birthday Celebration for U2's front-man, Bono - whose birthday was Tuesday, May 10th. Of course celebrating Israel's birthday took precedence, I mean, we are broadcasting from Yerushalayim, but we are not going to miss out on a chance to party in honor of Bono, now, are we? -- and anyway, Maya wouldn't let us miss this one! Wednesday. Balance. Life and Death. Where else are you going to find this? Yom HaAtzmaout: Happy 63rd Birthday, Israel! You Look Mahvahlous, Dahlink! Celebrate Israeli Independence Day with us on Radio Free Nachlaot - we're playing all Israeli music, all day - and yes, there's nothing more "homegrown" than Israeli music, born right here in the beautiful, tiny, holy, delicious and magical Eretz HaKodesh (Holy Land) - ISRAEL, YOU'RE FABULOUS, Happy Birthday, beautiful! songs about war, soldiers, remembering, Israel, love, loss, pride and longing for a better world ... Yom HaZicharon today on Radio Free Nachlaot. It's time for "Sunday Night Live" tonight, Sefirat HaOmer style ... and this week we're visiting with Rav Ozer Bergman. I am a husband, father, grandfather, son, brother, brother-in-law, nephew, cousin, uncle, great-uncle, friend, confidante, teacher, speaker, author, editor and Jew. I was born in Brooklyn (Crown Heights), raised in Long Island’s Five Towns (Woodmere). I attended Yeshiva of South Shore, MTA (aka YUHS-Boys Manhattan). I have a BA from The Johns Hopkins University and semikhah (rabbinic ordination) from the Bostoner Kollel of Jerusalem. I moved to the Holy Land in February ’78 (Purim Katan 5738). 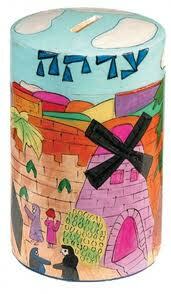 I live in Yerushalayim/Jerusalem with my wife and unmarried children. I’m 6′ 5″ and wear size 15½ D shoes. All of this is undoubtedly true, and it IS really great that the ceilings in Undisclosed Studio B are over 25 feet high, which will surely make Rav Ozer quite comfortable when he arrives for the show tonight (he's seldom seen entering a room without ducking). But he's so, so much more than that .... he's also the author of "Where Earth and Heaven Kiss: A Guide to Rebbe Nachman's Path of Meditation" - a handbook on hitbodedut, the seemingly simple and yet very hard to do spiritual practice of simply talking to G*d.
Yes, just talking to HaShem. Opening up your mouth and letting words come out. Alone, in the privacy of a simple space, every day. Sounds easy? Join us tonight at 8pm on Radio Free Nachlaot's live streaming video showcase show, "Sunday Night Live," to meet Rav Ozer and let's learn together! 4 Live Video Shows in one day? Are we crazy? Yes, but that's beside the point! Tonight at 7:30 we'll be broadcasting Rav Ozer Bergman's regular Thursday Night Rebbe Nachman Chebura (meeting tonight at the home of Rafael Wilson in Nachlaot). That's 4, count 'em, 4 live streaming video shows in one day, folks! Tonight as we do every Thursday we're "Cookin' for Shabbos" with Steve Levine - stay tuned to find out what tasty musical treats Mr. Levine has prepared for our listening pleasure! And don't forget - Rav Ozer Bergman will be our Special Guest on SUNDAY NIGHT LIVE this coming Sunday, May 3rd - join us at 8:30pm Jerusalem time for what's sure to be a show of the highest Torah! Marci Rapp, "Altruistic Organ Donor"
49 West 45th Street/10th Fl. Cover what you want...in Style!! Happy Rosh Chodesh Iyar, One and All! Yes, it's Rosh Chodesh, Already! Rosh Chodesh Iyar! 15 days of Sefira behind us - only 34 more to go. But while we anxiously anticipate receiving the Torah, let's check in on where we're at right now. It's Wednesday. It may be "Mid Week," but the week is far from done. So let's just review our schedule until Shabbos, shall we? Tonight, 9 -11 PM - Maya will lead us into her world of "night music" as only Maya can. Thursday: 12:00 Noon - 1:00 PM - a special "Health Information" program featuring our live in-studio guest, Mrs. Marci Rapp. Marci is about to donate her kidney to a complete stranger! Find out about her "journey" as an "altruistic donor," and let's enter the world of organ donations here in Israel. 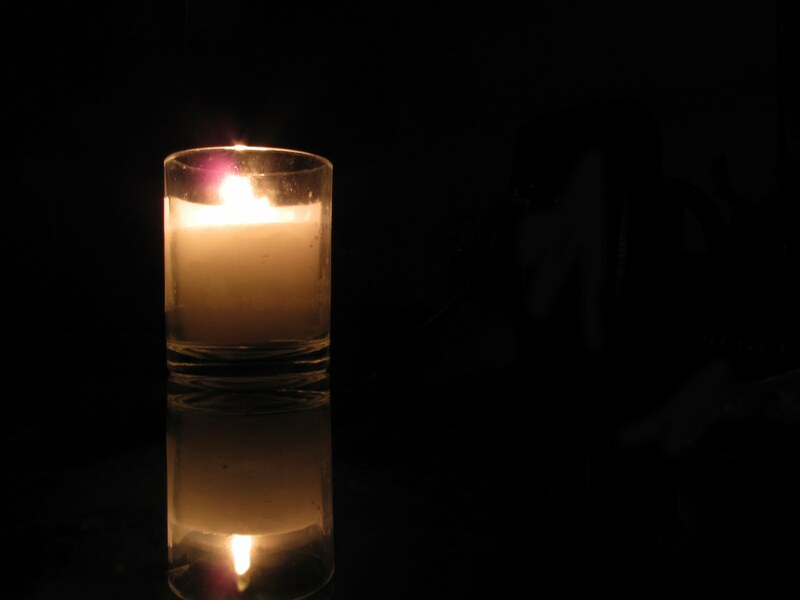 2:00 - 3:00 PM - Heart to Heart becomes Shiduch Central -- Lorelai and her special guest Gitel Nadel Alpert, the Matchmaker Gadola of Jerusalem, will really go Heart to Heart!!! Everything you always wanted to know about shiduchim - matchmaking, and probably even more than you want to know! After all, making zivugim is harder than splitting the Red Sea! 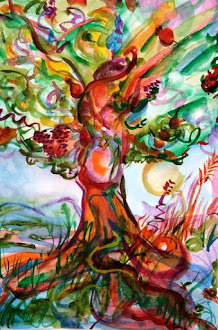 4:00 - 5:00 PM - The Returning Light returns - Lorelai and Benzion Eliyahu Lehrer will continue exploring the secrets of the Torah, the calendar, nutritious living and eveything else! And before you know it, it will be Friday . Friday's schedule is: 2-3:30 PM - the Radio Free Nachlaot "Not for Kids Only" Childrens' Hour - Entertainment not only for your kids but for the kids in you!, and then ( if that wasn't enought) we head down the road to Shabbos, led by the music that you need to hear as you get closer to Shabbos. It may be mid - week, but there is sure a lot to go!!!! ... and then of course, Starting around 9:45 PM Motzoei Shabbos, Steve will host the weekly Melave Malke (Where Shlomo meets Saturday Night) right there on the RADIO! - and before we know it will be time for Sunday Night Live - Sunday Night - 8 - 11 PM, this week featuring our special guest - R' Ozer Bergman. If it's Tuesday, It must be Maya! That's right Maya will be here - 11:00 AM - 1:00 PM to feed you Mid-Morning Music Munchies, like she does every Tuesday. .. and then, following Maya - 1-3 PM Israeli Soul, 7-8 PM the Homegrown Hour, and 8 -11, Steve's "That's Rock and Roll" - exploring all different types of music that will get you to say, "Yeah, That's Rock and Roll!" It's Tuesday, all right, and that's how you're going to feel, you'r gonna feel all-right, with Radio Free Nachlaot!